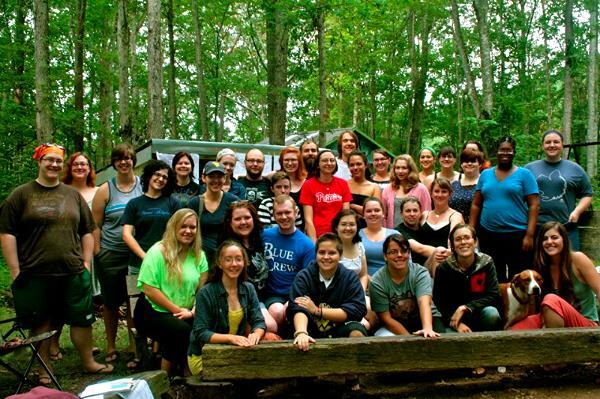 The picture above was taken at our second STAY Summer Institute in Pocahontas County, WV in 2012. Several folks in this photo, or someone in their community, has been impacted by severe flooding across the state. It's times like these where we help collect and share resources and support to our friends when they need. If you don't have money, items, or volunteer time to share, help send information around to help to folks that can. "I've been working in White Sulphur Springs for the past two days cooking and serving food to thousands of people who are without anything. I've been very relieved to see a handful of the students I worked with there for two years. There are still dogs searching for bodies throughout the county, as well as national guard tanks and helicopters around. The hardest hit towns were White Sulphur Springs and Rainelle, but Rupert, Renick, Alderson, and Ronceverte were badly affected too. Of the 26 confirmed deaths in the state 16 were in Greenbrier County, but there are still people missing. It's gonna be a really long recovery for a state that was already really struggling. Lots of people lost everything: homes, belongings, cars, and jobs - as many businesses are closed for the foreseeable future. I was trying to find a local donation site for folks out of town to contribute to, but it seems like the best option is to donate to the United Way of Greenbrier Valley. 100% of donations will go directly to local flood relief, not to the United Way. They are working with local churches to collect donations of supplies and distribute them throughout the county." 2) Donate to Aurora Lights, an organization who is doing direct relief and accepting donations. Are you a STAY member in East Kentucky or Southwest Virginia and want to drop off some supplies? 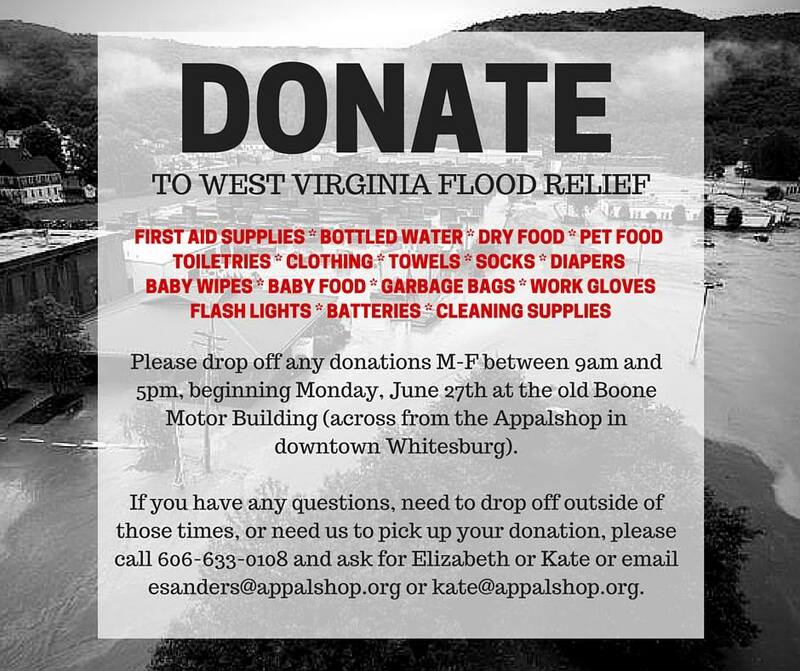 Appalshop is helping collect donations at the Boone Motor building in downtown Whitesburg.